CROCKETT – It appears as if an IT (Information and technology) company will occupy the former Angelina College after all. After being jilted by a different IT company earlier this year, the city and the Crockett Economic and Industrial Development Corporation (CEIDC) have announced a commitment from Onshore Technology Services to locate a new facility in Crockett. During a city council meeting held on Monday, April 1, representatives from Onshore Technology Services provided the council members with a presentation pertaining to their company. 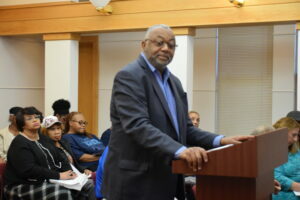 Prior to the presentation, CEIDC Executive Director James Gentry explained how the new arrangement came to pass. “Back in February, I received a call from a gentleman who was very interested in rural communities. Over the last month with the assistance of (City Administrator) John (Angerstein) and the mayor (Joni Clonts) and several council members, we have been able to talk about a vision for our community,” Gentry said. He explained he would like to see good jobs with good pay and good benefits come into Crockett as well as Houston County. As he continued, Gentry indicated he began to work with Shane Mayes, the CEO of Onshore Technology Services, and was impressed with the ideas Mayes brought to the table. Once Gentry concluded, Mayes thanked the city leaders for the opportunity to address the council. “The problem that Onshore has solved is we have figured out how to re-tool the underemployed and dislocated workers and move them into IT professions, solving technology problems for the world’s leading companies,” Mayes said. Mayes explained the services his company provides include: software development; data services; application maintenance and support; and a service desk. “It’s a full range of IT services and we do that in a way that would typically go offshore to places like India, South America or Mexico. We have been able to win a lot of those jobs back. We are a very cost effective alternative to companies taking their IT work offshore. That is why we are called Onshore Technology Services,” the CEO explained. 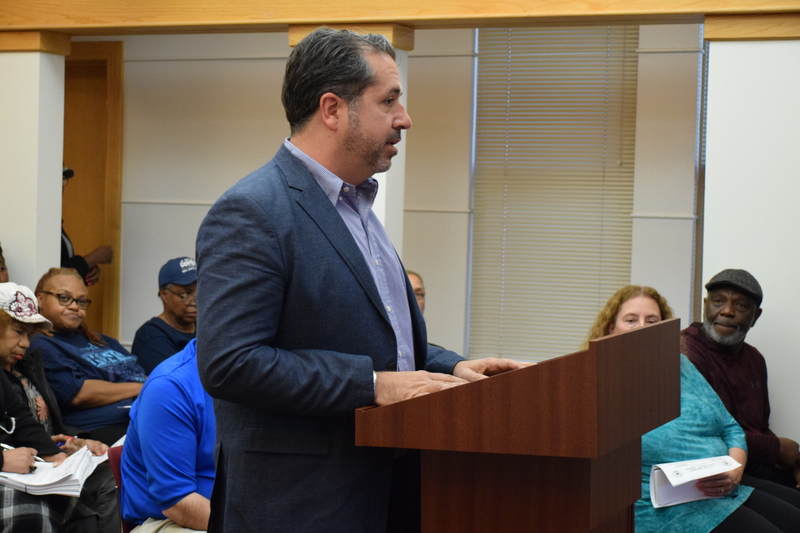 Following the presentation given by Mayes, the council approved providing commercial general liability insurance and property damage insurance for a 48-month period through the CEIDC. The council also approved providing free water and sewer services to Onshore Technology for a 48-month period. For more information on Onshore Technology Services, please see the Sunday, April 7 edition of The Messenger.